As college students, we tend to suffer from skin ailments that surface due to a collective mess of hormones, stress, neglect, and even weather conditions. Whether you suffer from acne or from dry and dull skin texture, take a look at the breakdown of how nutrients in foods and beverages can help you to give your body what it needs for a fresh and radiant face. One of the key players here is omega-3 fatty acids. This nutritional superstar reduces inflammation and dryness. You’ve probably heard all about how omega-3 fatty acids reduce cholesterol in our arteries and improve heart health. The same principle goes for the arteries in our faces! 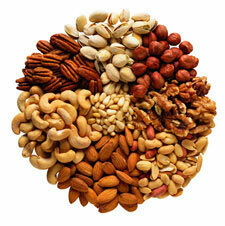 Omega-3 fatty acids improve blood circulation by keeping arteries clear of plaque and cholesterol. Better circulation means that the nutrients your skin needs are transported more easily. 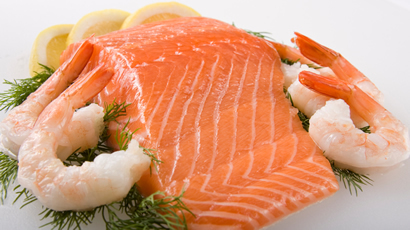 Load up on seafood such as salmon and oysters for omega-3 benefits. Snacking on walnuts will help you to get your daily dose of omega-3 fatty acids as well. Check out this list for a breakdown of foods that contain omega-3. Another antioxidant is the well-known Vitamin E. Walnuts, almonds, and pistachios are excellent go-to snacks thanks to their high content of this nutrient, which protects the skin from UV rays and encourages hydration. Keeping your skin hydrated by consuming nuts and moisturizing on a daily basis will promote elasticity and give you a fresh, dewy look. Dry skin is a major complaint during the winter months. 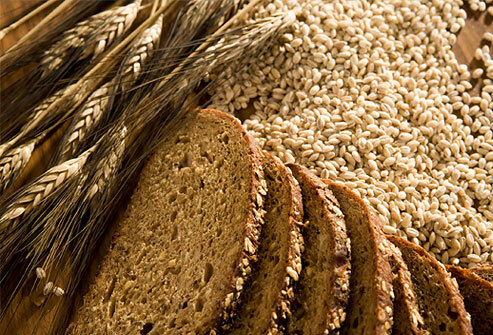 But whole grains can help you to solve this issue, thanks to their high portion of B-vitamins. B-vitamins like biotin help cells to metabolize fats, which increase hydration and elasticity. Why whole grains? Carbohydrates that are refined, like white breads and white rice, are metabolized quickly, and cause your body to have an “insulin spike.” Scientists have found that this may be an acne promoter. So focus on whole grains to say “adios” to acne. They take a little longer for your body to process, and don’t cause a shock to the digestive system. So if you’re suffering from dry skin, get some avocadoes, mushrooms, or whole grains like buckwheat in a regular rotation in your diet. Zinc is an essential mineral that functions to maintain fertility, repair wounds, help cells reproduce, maintain vision, and protect against free radicals. Scientists have discovered that zinc is part of metabolizing testosterone, a prime sebum producer. Sebum, that oily precursor to acne, is absolutely essential for our skin, but too much can tend to cause blockages and the dreaded acne. Try to focus on foods that contain zinc to regulate the production of sebum. You’ll be preventing the problem, and not just correcting it. Again, oysters are a huge source of zinc, along with crab meat and fortified cereals. Check this list for some foods that contain zinc. 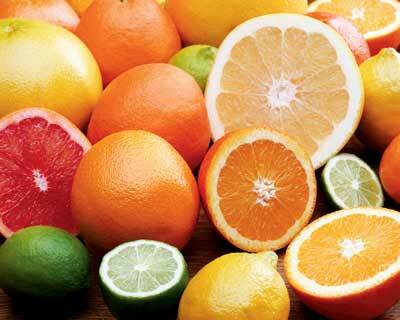 Vitamin C is the nutrient of the day here. It’s no wonder that vitamin C is found in a plethora of beauty creams – as an antioxidant, it gets rid of free radicals that cause damage to the skin and promote fine lines and wrinkles. As we age, the collagen production in our face is reduced, which gives us a rougher look. By including citrus fruits such as oranges, lemons, and grapefruits, avocados and bell peppers in your diet, you’ll be doing your skin a favor! Keep to it and you’ll notice smoother skin. Another acne fighter is beta-carotene, a precursor to Vitamin A. Try to focus on beta-carotene, since Vitamin A is toxic in higher doses (be careful if you are taking vitamin A supplements!). Research has determined that beta-carotene can reduce the frequency of outbreaks while promoting cell turnover and encouraging tighter skin. You can find beta-carotene in veggies like carrots, squash, and sweet potatoes, and in tuna and salmon. Don’t worry too much about each and every vitamin that may help improve the look of your skin. By eating a diet rich in whole grains, fruits and vegetables, and lean meats, you’ll already be doing your skin a favor. Combined with a healthy intake of water (about eight glasses per day–remember to use your reusable bottles! ), regular exercise, and time-outs from the stress of the holidays and finals, you’ll be well on your way to healthy and radiant skin, without resorting to expensive creams and treatments. Check out some at-home skin treatments below that incorporate the nutrients we just looked at! Take 4 tbsp. plain yogurt, 2 tbsp. honey, and 3 tbsp. lime juice. 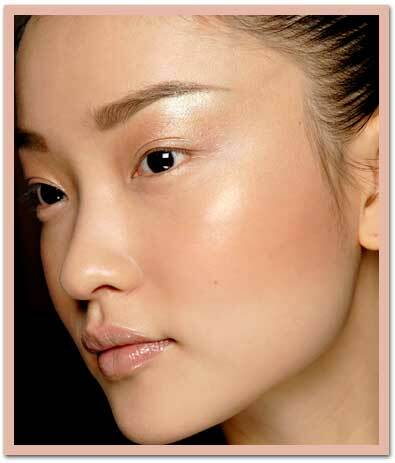 Blend the ingredients and apply to the face, massaging for two minutes. Rinse. Combine 1/2 cup white sugar, 1/2 cup dark brown sugar, 1/2 cup sweet almond oil, 2 tsp. pure vanilla extract, 1 tbsp. ground oatmeal, and 1 tsp. nutmeg. Scrub your face for 2-3 minutes, rinse, and dry.